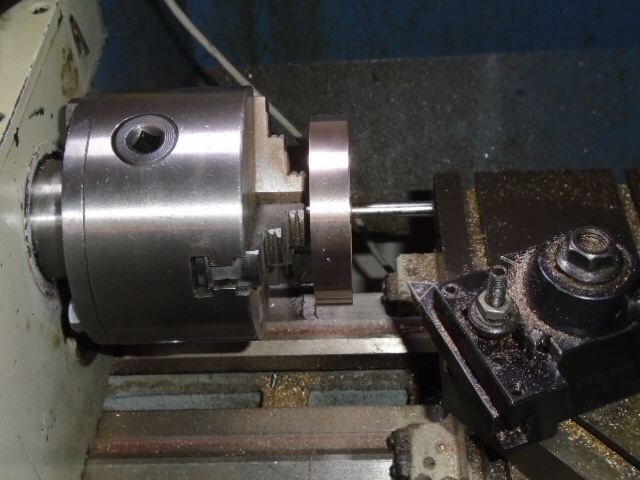 This week the piston and crankshaft were completed. Let’s start with the piston. 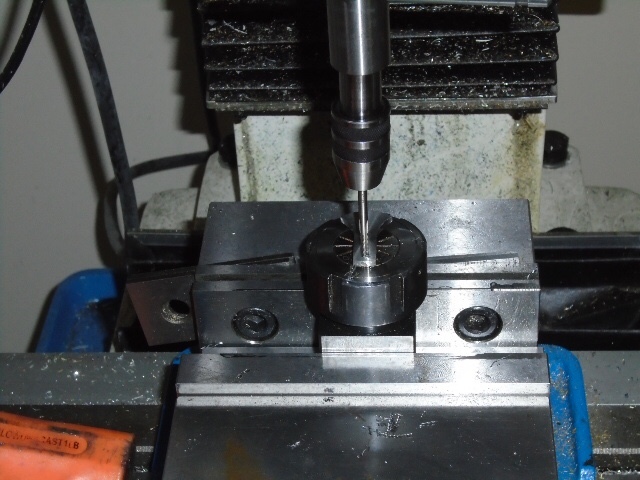 The blank was turned down slightly oversized and grooved for a silicon o-ring. 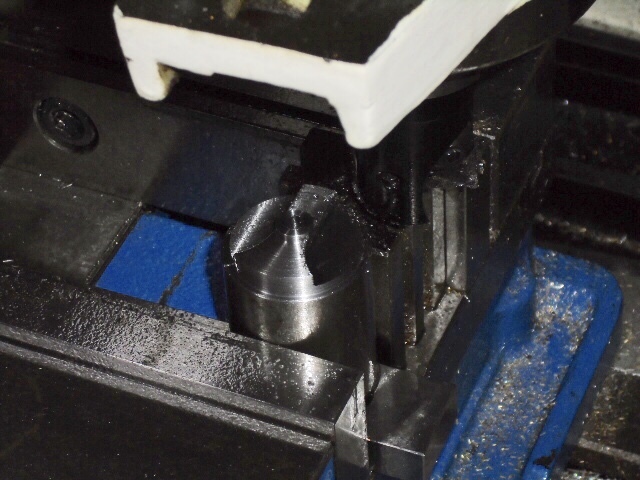 Then the end was drilled and tapped. 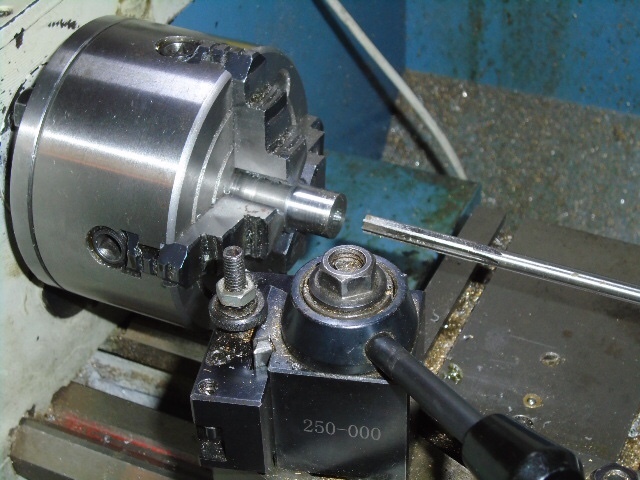 A shoulder was put in using an end mill. The piston was parted off and put aside. 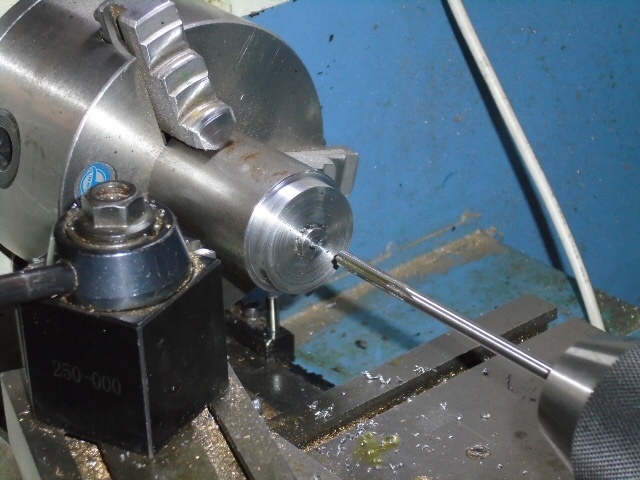 The piston rod was cut to length and threaded on both sides. 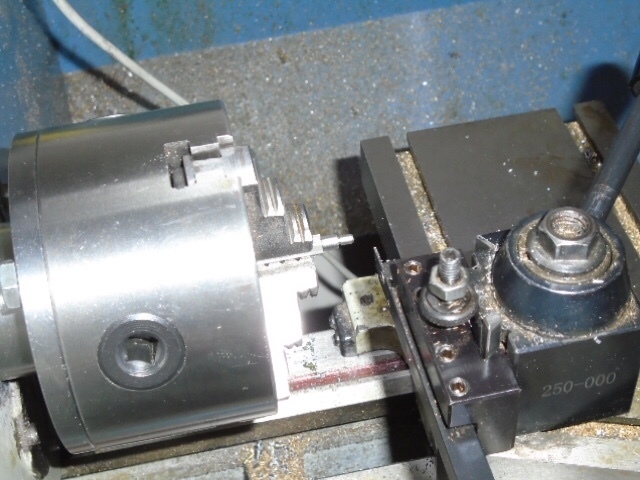 Then the piston was screwed on to the rod. Next the assembly was trued up and turned to size. 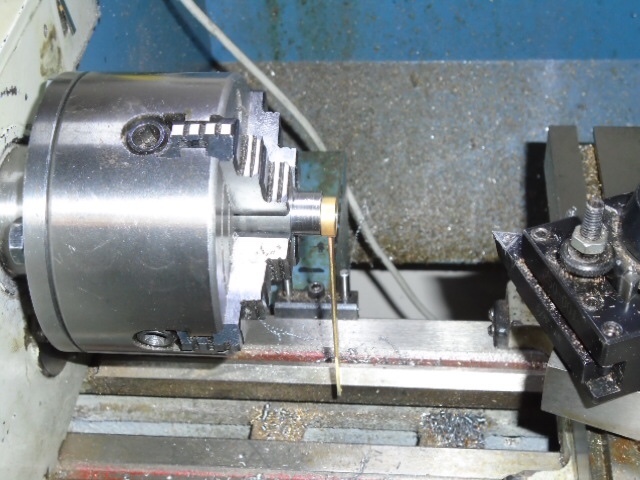 Next up is the crankshaft. 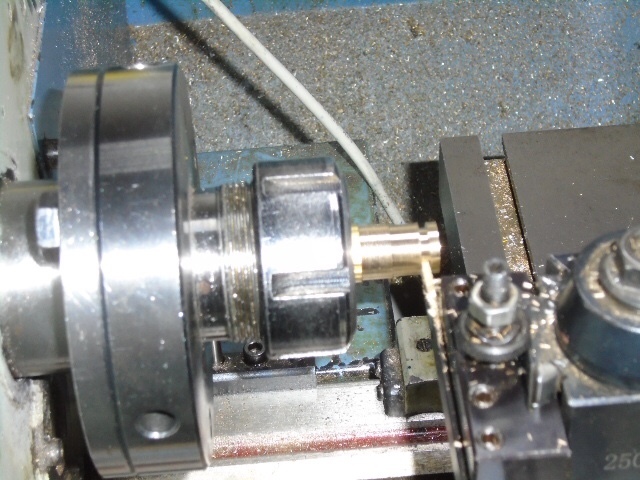 The blank for the crank was turned on the lathe. 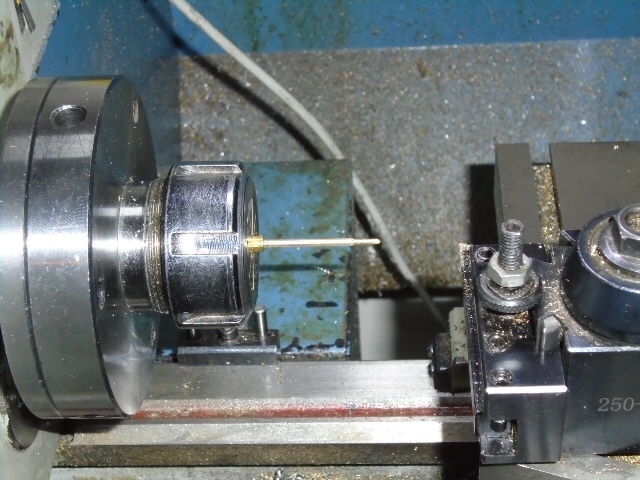 Then it was drilled and reamed to take the shaft. 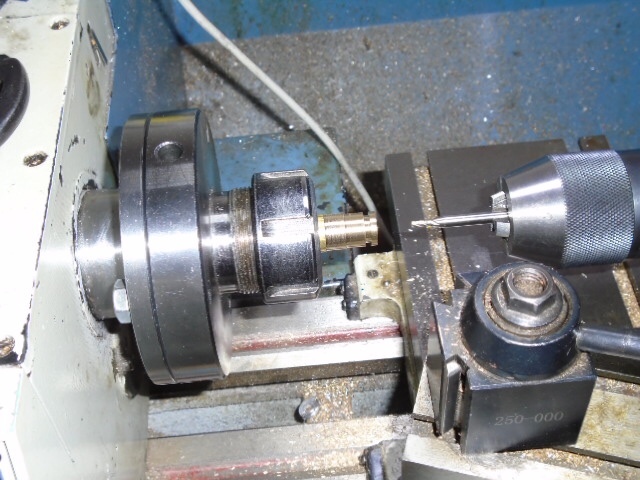 The crank was parted off and the shaft was stepped to take the crank. 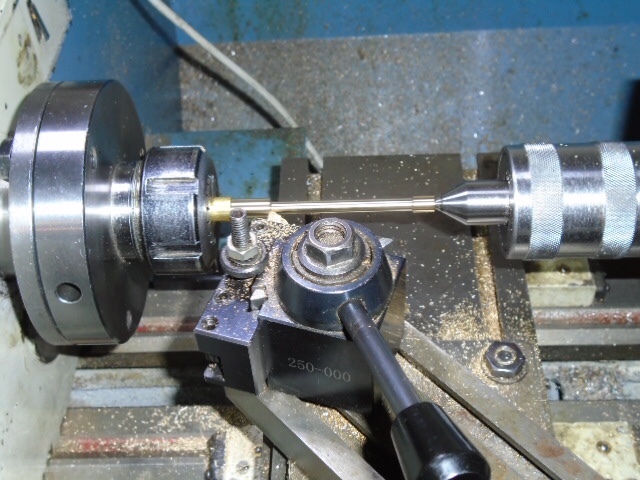 The shaft was pressed into the crank and the assembly trued up in the lathe. 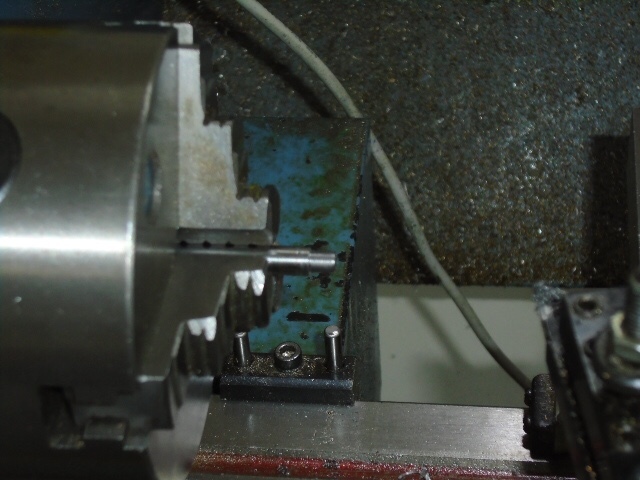 At that point I realized that I had forgotten to drill and tap the hole for the crank pin. That was handled in the mill. 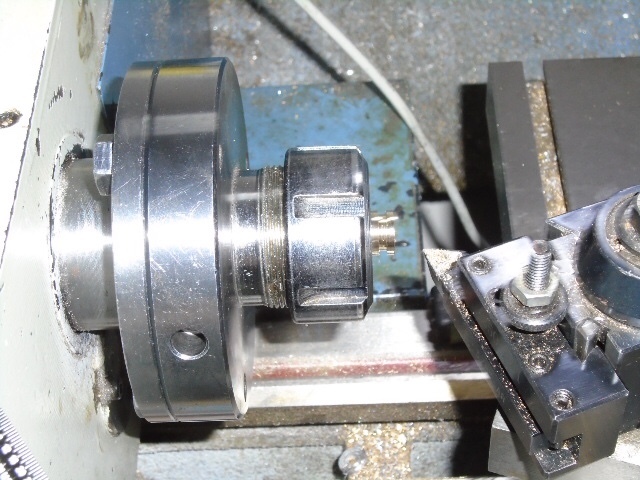 Next I turned up and hardened a set of filing buttons and rounded over the end of the crank. I’ll end this update with a family shot. The family shot is great! I'm always glad to see those. Thanks Z, a couple more weekends of work and we should have it running. Yep, I love the family shots too. Looking forward to a nice runner!! This is a four day weekend for me so I had plenty of time to make some serious progress. I started by making some hardware. 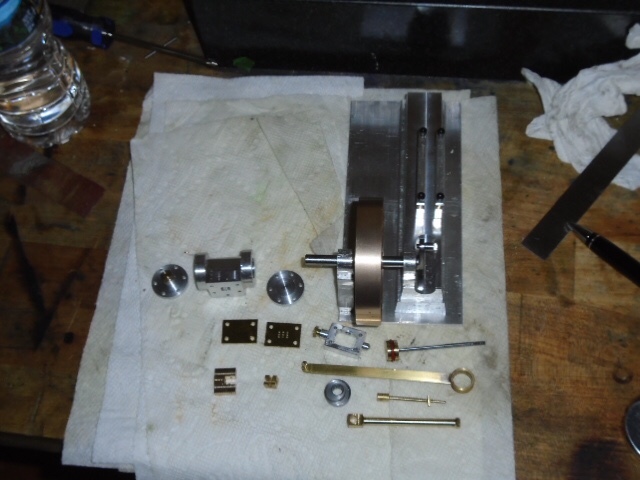 I turned up the crank pin and gland nuts for the cylinder and valve chests. 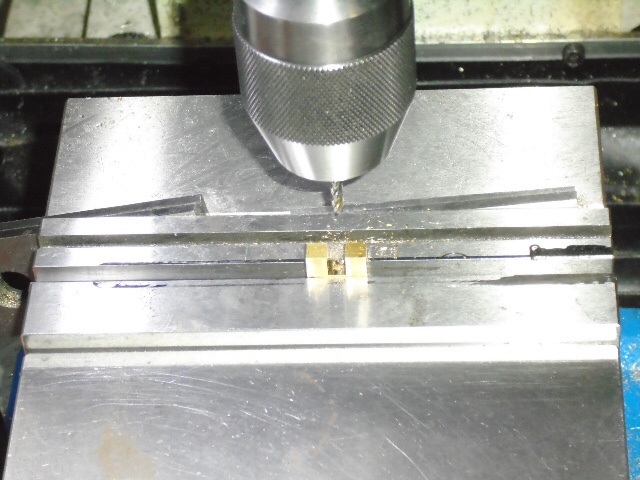 Next I fabricated the eccentric rod. 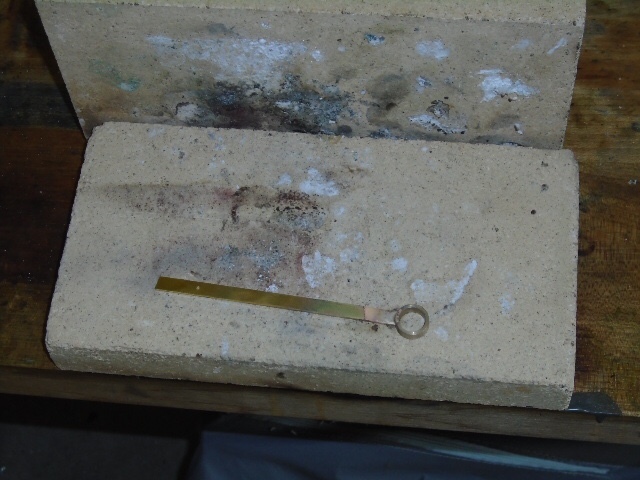 I turned and reamed a piece of brass to fit over the eccentric. Then it was parted off and a slot was cut to take the rod. 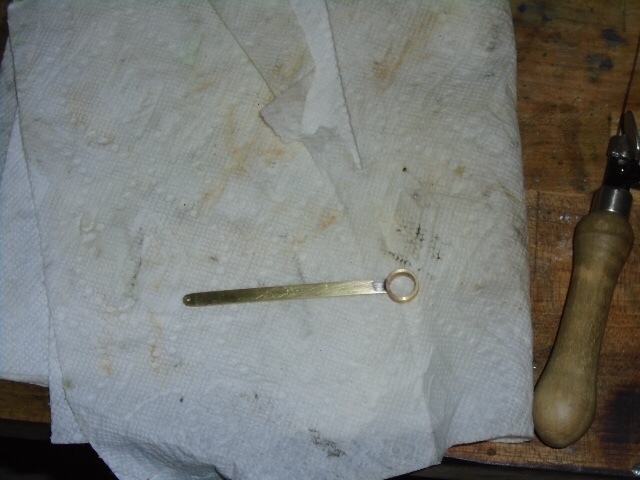 The rod was drilled for the pin and soldered to the ring. Then the part was pickled and the end rounded over. Next was the eccentric itself. 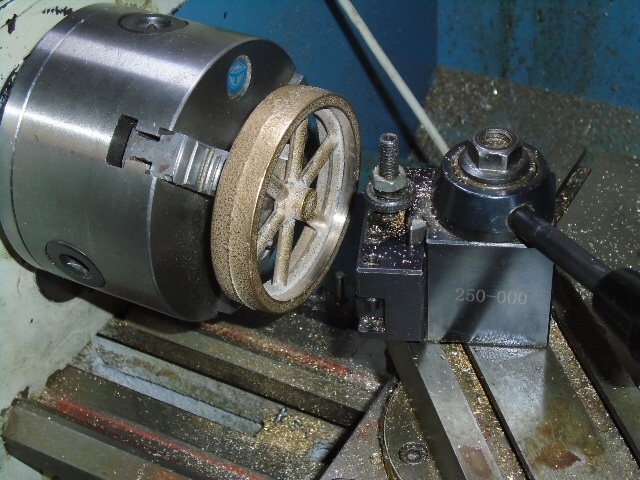 The initial shape was turned in the four jaw and the center drilled and reamed. 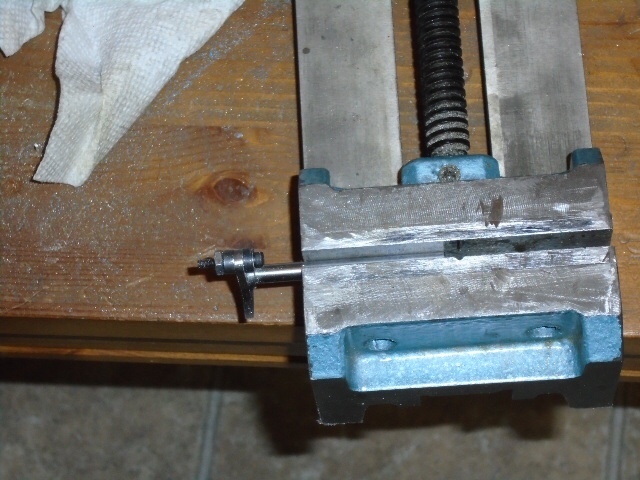 Then the offset was put in and the eccentric was turned to a slip fit on the eccentric rod. The next part was the valve rod. I don’t have a center small enough to turn this part with support. It was shaped by turning small segments and then extending the part. Then the segments were blended with some emory cloth. 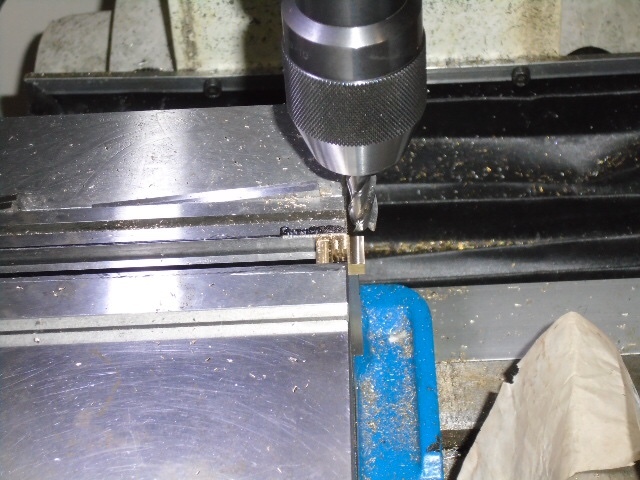 The part was threaded and then taken to the mill where the flats were milled and the hole drilled. 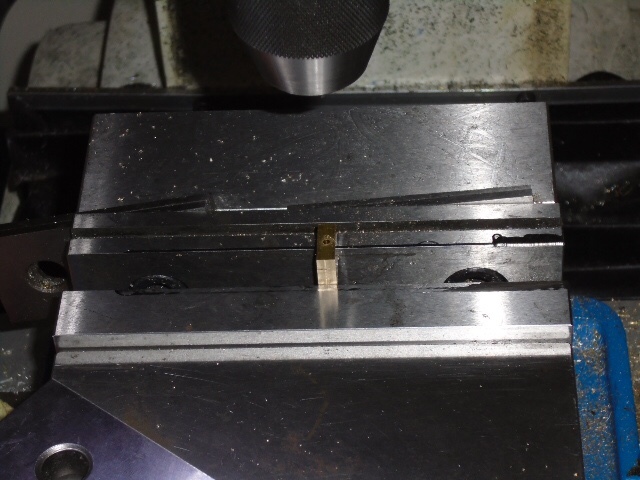 Then the end was slotted with a slitting saw. 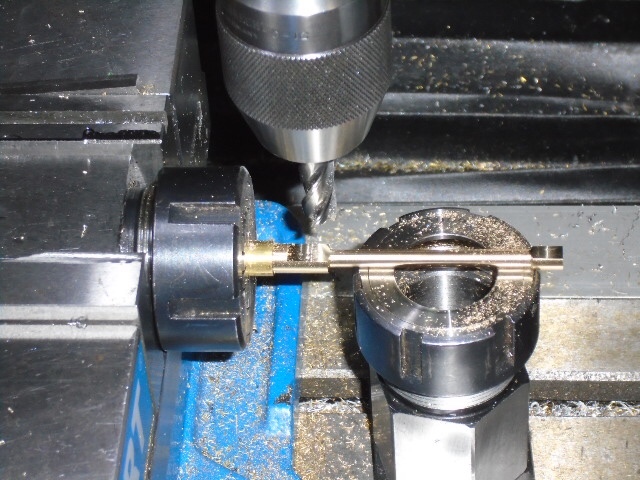 With the valve rod done it was time to make the connecting rod. 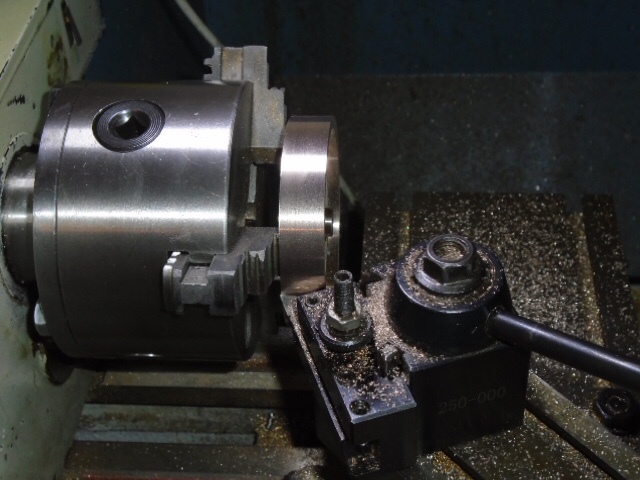 This was turned to shape with tailstock support. 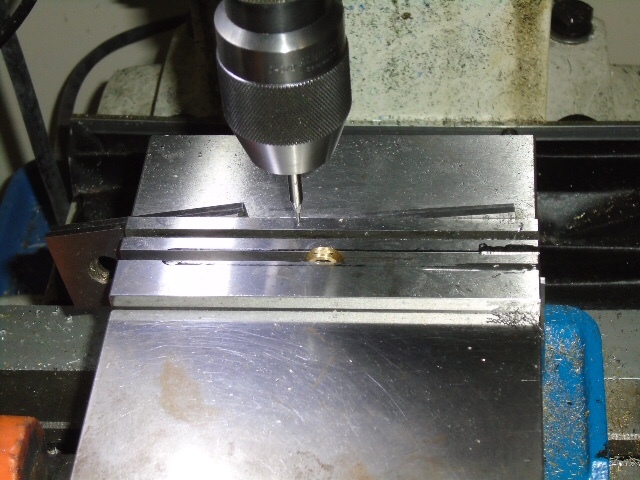 Then the flats and holes were put in on the mill. 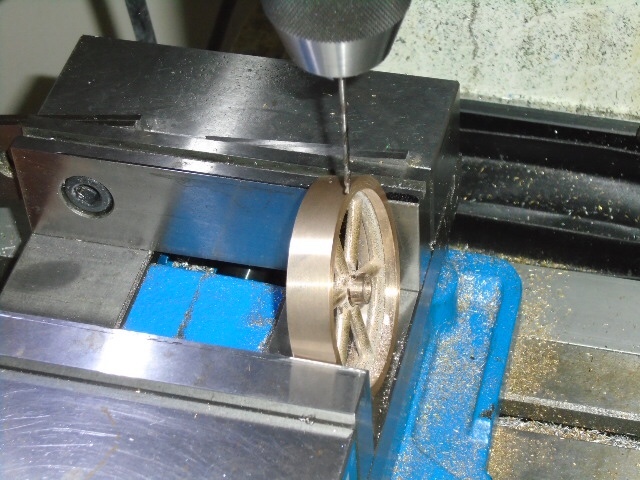 After parting off the connecting rod I started on the flywheel. 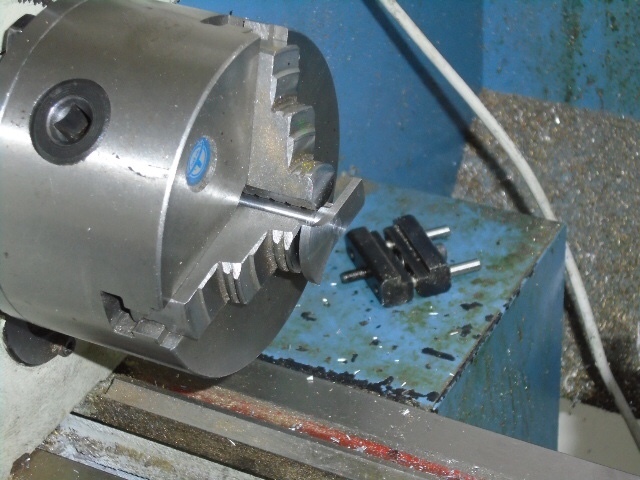 It was fettled to clean it up and mounted in the three jaw and the hub cleaned up. The part was flipped and the inner rim cleaned up. The part was flipped again and grabbed by the inner rim to reduce chatter. The side, rim and hub were taken to dimension. There are a couple of blowholes in the rim so I am going to fill them and paint the whole thing. 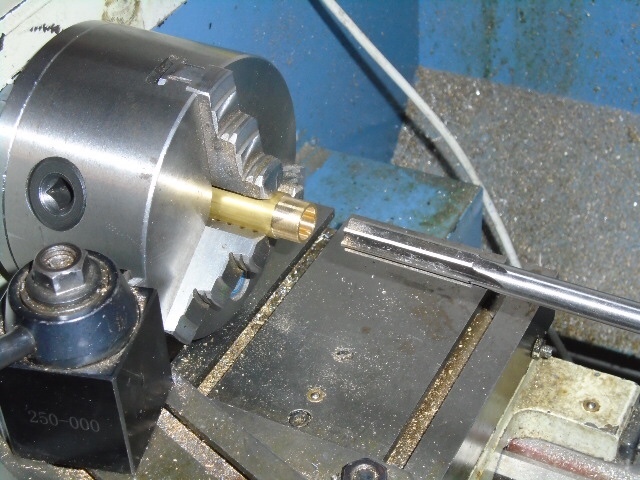 Next the center was drilled and reamed. 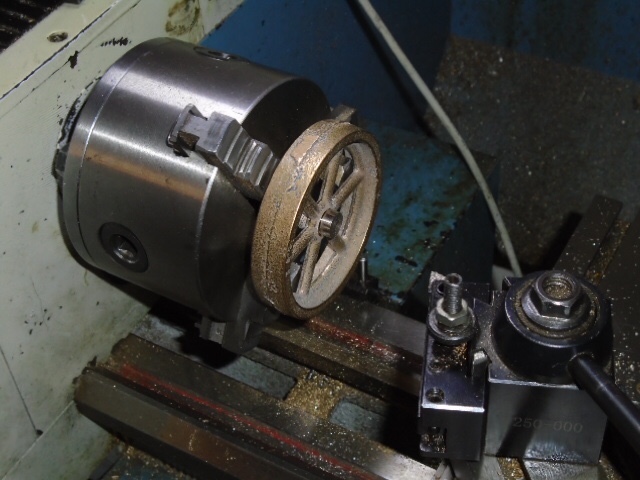 The flywheel was superglued on to an off cut of the drill rod used to make the crankshaft and trued up. 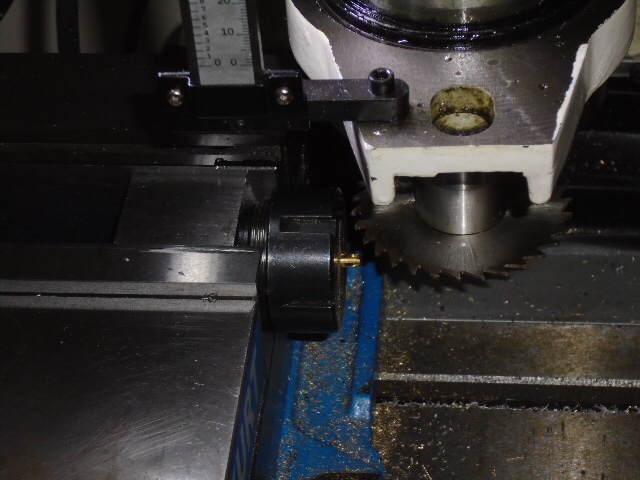 The last thing done on the flywheel was to drill and tap it for the grub screw. 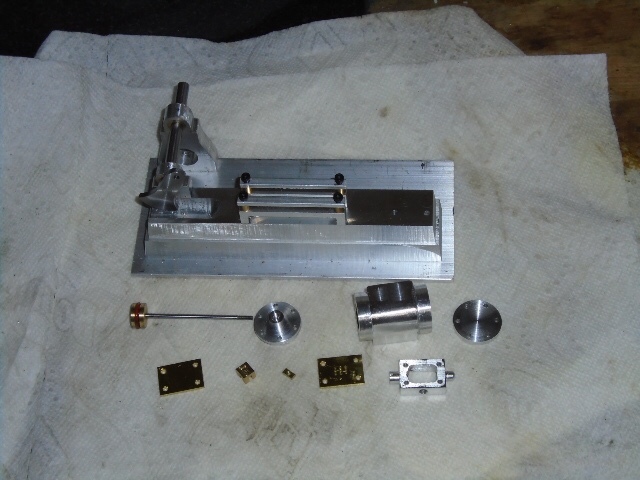 The last piece to make is the crosshead. 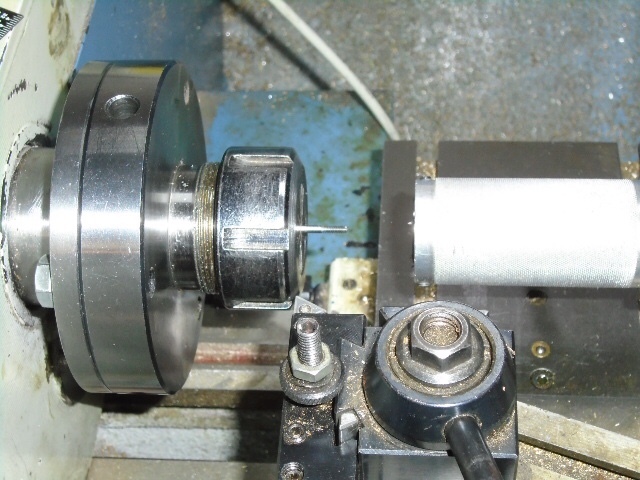 The blank was squared up then drilled and tapped to screw onto the piston rod. 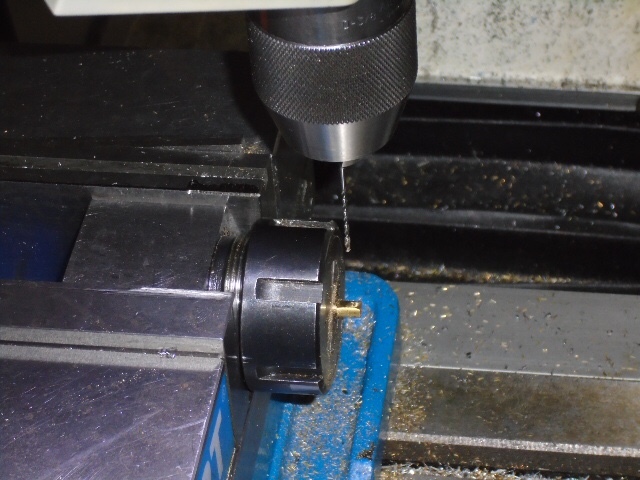 Then it was drilled for the cross pin and slotted. Lastly the two relief cuts were made. Here is the final family shot. 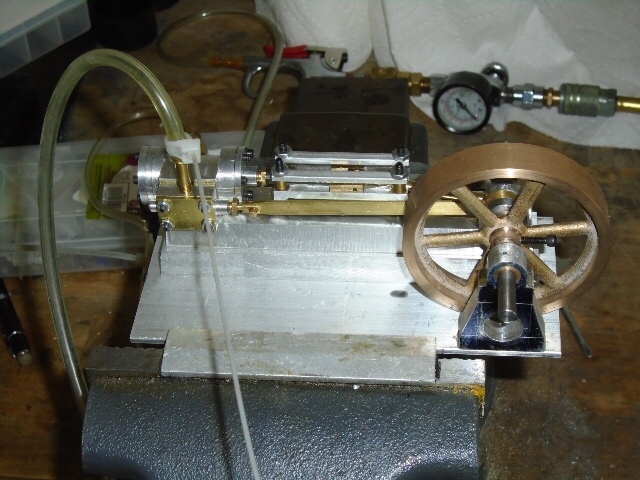 I’ll end with the engine temporarily assembled for a test run. Wow, Tony, that's a lot of progress! Nice progress! Nice work! Almost there. Thanks guys, it’s a runner but no vids until I get it painted. Otherwise I’d procrastinate on the final paint and finishing which I hate. I’ve got it all torn down and ready for primer tomorrow. It’s done and she’s a runner. Pics and video are in the showcase. Bad Behavior has blocked 15725 access attempts in the last 7 days.